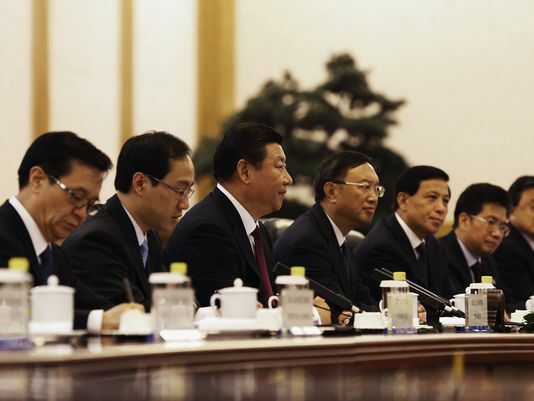 Xi Jinping, China’s President, has been on a mission to improve the integrity and performance of Chinese Communist Party (CCP) officials across the country by encouraging ‘criticism’ and ‘self-criticism’ sessions amongst high-ranking Party cadres. Plagued by top-level corruption scandals, and with a youth population increasingly intolerant of its politicians’ corruption and excess, the CCP is, in Xi’s eyes, in need of rebuke and reform. Commentators who heralded Xi’s succession to the Chinese presidency may well find themselves disappointed at this development so early in his rule, for the notion of ‘self-criticism’ is inextricably linked with the reign of Mao Tse-Tung and the horrors of the Cultural Revolution. 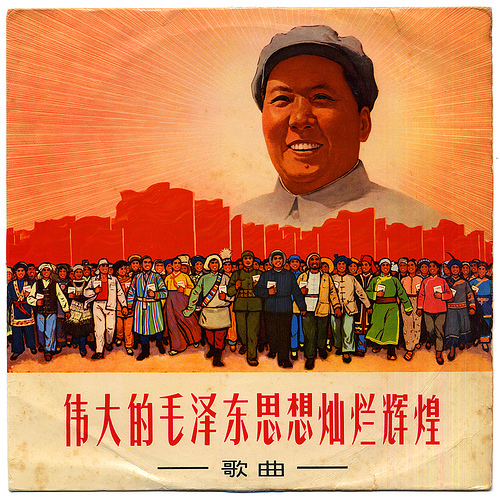 Mao had encouraged criticisms as early as 1942, before the CCP had come to power. He initially used them as a means to keep his colleagues humble and cowed, to prevent them become imbued with an arrogance that came with increasing power, a power that could rival his own. Simultaneously, Mao viewed the criticisms of the CCP as a way to draw out Party ‘enemies’ who unwittingly fell into his trap, particularly if they criticised one of the Chairman’s own policies. Punishments invariably involved torture, imprisonment, detention in work camps and execution. After the CCP won power in 1949, Mao introduced the concept of “self-criticisms” whereby Party officials were ordered to expel their own failings in front of groups of their peers, the latter adding their own criticisms to the proceedings. This not only gave the impression that all except Mao were flawed, thus preserving his superiority, but it gave the peasantry and the lower classes an outlet for their frustration and anger during the years of the Great Leap Forward, when starvation and poverty proliferated. Mao avoided criticism himself by organising collective criticisms of those officials he wanted to be deemed culpable for his own mistakes. 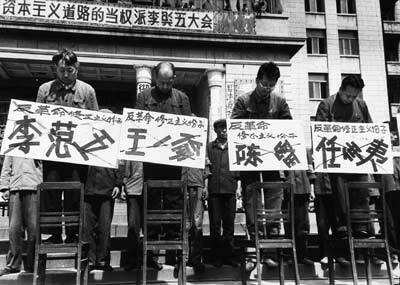 During the Cultural Revolution, self-criticism sessions were a daily event and designated ‘bourgeois’ and ‘capitalist-roader’ officials (basically anyone providing a real or imagined challenge to Mao and his deluded policies) were subjected to a barrage of vitriolic abuse which was often combined with horrific physical torture at the hands of the militant Red Guards who Mao had indoctrinated. Even senior leaders such as Zhou Enlai would be forced into self-criticisms. Why Xi has chosen this particular phraseology – undoubtedly aware as he must be of its connotations – is debatable. One potential reason is that the anniversary of the founding of the People’s Republic of China (PRC) is upon us (1st October) and he is keen to show that the CCP has retained its revolutionary commitment. A second possible reason is the fallout of the Bo Xilai scandal. Bo was a hardline leftist with a Maoist philosophy and is thought to have gained many supporters within the Chinese political establishment. This ‘shift to the left’ by Xi may be an attempt to appease those potential troublemakers angered by Bo’s imprisonment. It may just be that Xi thinks it necessary to return to the culture of fear created during Mao’s reign to finally put an end to the ongoing corruption crisis within the CCP. Whatever the reasoning, Xi’s self-criticism sessions have been mocked and denigrated by Chinese internet users canny enough to bypass the state-imposed firewall. Whether this will deter the President from pursuing this reinvented policy remains to be seen. Yet for those believing his ascent to power may have ushered in a period of liberal reform in China, they may have to make a reassessment. New Australian Prime Minister Tony Abbott has announced the establishment of an Indigenous Advisory Council to try and alleviate the hardships suffered by the majority of the country’s aboriginal communities. Making good on a key election pledge, Abbott says that the Council will seek to provide more economic opportunities for Aborigines, hopefully enabling them to escape a spiral of deprivation, alcoholism and domestic violence. To say that the indigenous issue is a sensitive one in Australia is a massive understatement. As with the Native Americans, the Aborigines have suffered great upheaval over a relatively short period of history, involving the dismantling of their traditional lifestyles by the arrival of white settlers. Having arrived on the Australian continent from Southeast Asia some 50,000 years ago, the Aborigines lived unchallenged for millenia. The arrival of British colonists in the late 18th century brought not only the typical shock of ‘encounter’ but a swift and brutal end to aboriginal life as was known. 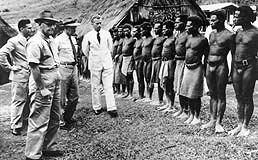 Aborigines were persecuted on political and racial grounds from the outset, many driven from their natural homelands by greedy land prospectors who were unafraid to use violence in a colony yet to be tamed. In 2008, during his premiership, Labor leader Kevin Rudd offered the most sincere apology to Aborigines yet, reflecting on the “profound grief, suffering and loss” inflicted upon indigenous Australians by decades of white settlers. In addition to the calculated acts of violence and population displacement perpetuated by the whites, there were also the inadvertent detriments. In particular, European disease and the import of alcohol onto a ‘dry’ continent ravaged the Aborigines. 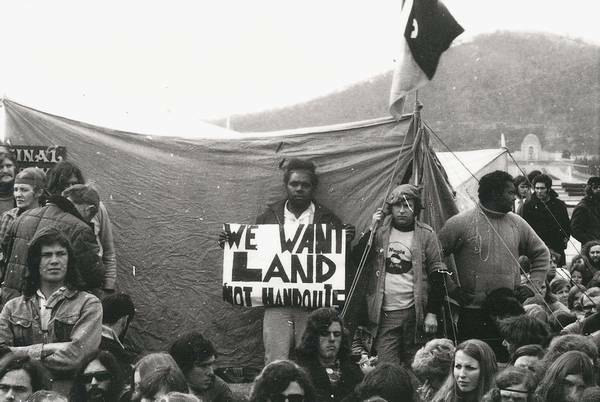 With their land eaten up by white settlement, many Aborigines were forced into an unnatural sedentary life in the growing urban centres on the Australian coast where a dependency on alcohol offered an escape from their dismantled lives. This persisting problem within the aboriginal community has contributed to other woes such as unemployment and child and spousal abuse. Rudd was undoubtedly sincere when he apologised, confronting a much-known yet highly guarded dirty secret for which many white Australians feel guilty. But what does an apology mean? Although well-intentioned it makes no tangible difference. One need only look at the attempts made by some Japanese politicians to apologise for their country’s culpability in initiating the Pacific Front during WWII. The Chinese and Koreans will have none of it. Apologies also hamstring contemporary leaders who are forced to try and atone for actions not committed by their generation; it is hard, therefore, to feel a genuineness in any spoken statement of redemption. Abbott seems to be aware of this and is conscious of the severity of the aboriginal plight (he spends a week living in aboriginal communities every year). His idea for reform is far more bold and, probably, easier to enact than an apology. How his Council will function and whether it will be successful remains to be seen. There is an embedded shame in Australia, as there is in much of the USA, over the treatment of their countries’ indigenous people. It is unfortunate that this shame has only started to take form in recent decades, for had the delusion of racial superiority been quashed in its infancy the recovery of these peoples may have stood a far greater chance.